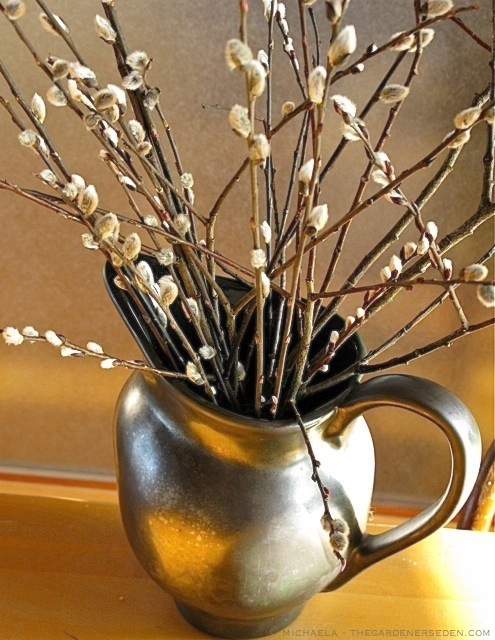 § 7 Responses to Come to Me, My Sweet Willow…"
Have you ever used willow for starting other hardwood cuttings? Works like a charm… Apparently it naturally contains rooting hormone (and ‘way cheaper than the stuff you buy). 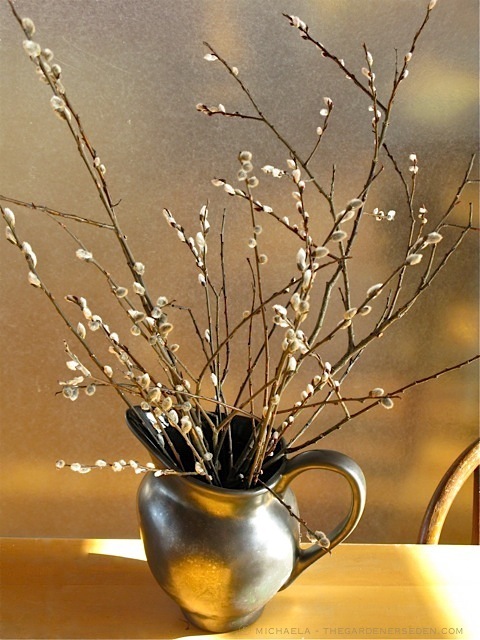 Behind or not, it’s time to start those cuttings we talked about last year. 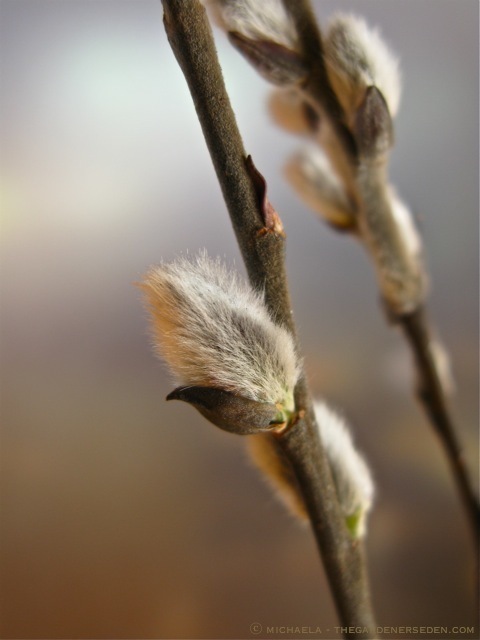 Hi ho, hi ho… xo D.
Oh yeah, I almost forgot… That greenish cast you spoke about on the willow catkins is the earliest source of pollen for the bees. A sure sign that it’s time to check the little buzzers after a long snowy winter! You’ll have me out tromping through the wet mess of late February! 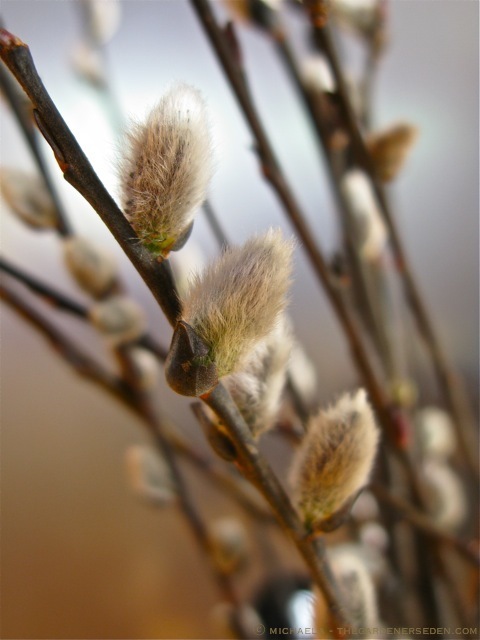 You are currently reading Come to Me, My Sweet Willow… at The Gardener's Eden.